For a totally unique wedding celebration experience, we doubt there is a more unusual location than a vineyard. 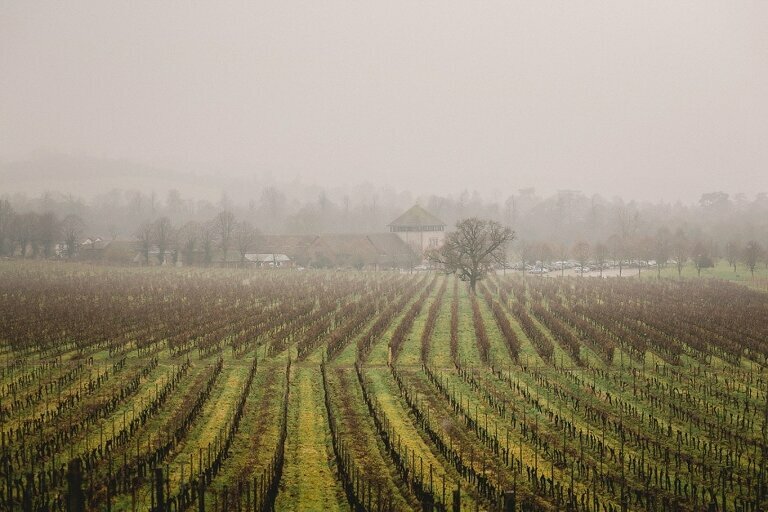 Denbies Vineyard, situated near Dorking in the heart of the Surrey Hills, is the largest vineyard in England, producing around 400,000 bottles of wine each year. Set in 265 acres of woodland the venue is certainly extremely picturesque and romantic with its breathtaking views and provides a perfect backdrop for capturing memorable photography. There’s even a special vineyard train available from March to October, enabling you to tour the entire facilities and witness the amazing views from the top of the estate. A recorded commentary enhances the hour long tour, allowing your guests to gain more of an insight into this fully working vineyard and learn about its beautiful surroundings. Licensed to hold both civil ceremonies and partnerships, the Vineyard provides indoor and outdoor facilities to accommodate up to 120 guests. Choose between the classic ground floor Garden Room adjacent to a beautiful private courtyard and magnificent pavilion centrepiece or perhaps the Denbies Suite, a larger more traditional ceremony room situated on the first floor. For a more romantic and intimate setting, the Ranmore Suite is a bright, modern alternative with space for up to 50 guests. The Conservatory Atrium with its high glass ceilings and water feature is a stunning venue for dining and entertaining, and with accommodation for up to 250 guests is a wonderful relaxed environment for evening celebrations. Alternatively, the Gallery Restaurant located on the third floor offers panoramic views over the entire vineyard. 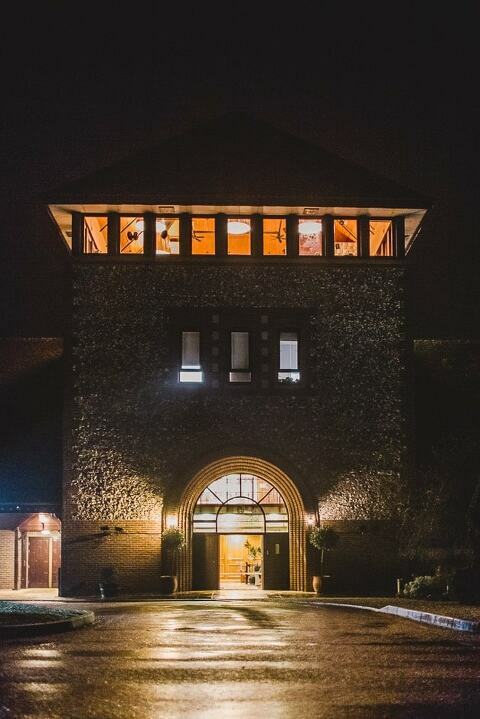 For a truly unique experience, the candlelit vaulted cellar is available for hosting a wedding meal or evening receptions. 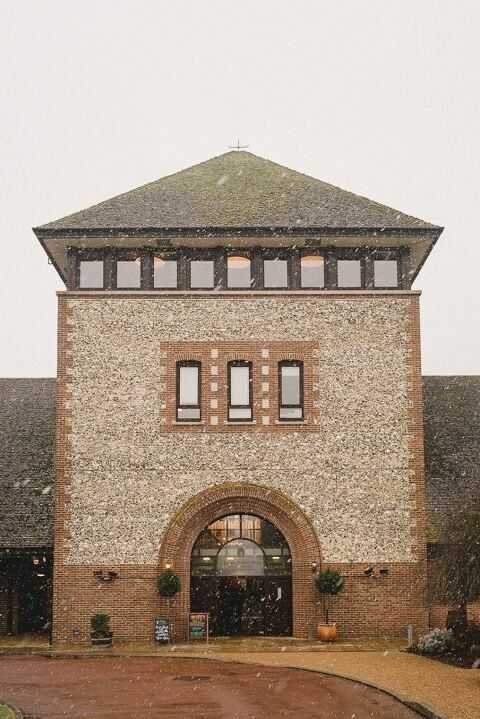 Your guests can even indulge in wine tasting – an opportunity to sample a range of the finest wines produced here at the UK’s largest vineyard. For other wonderful wedding locations in Surrey, have a look my locations page and take a look at the photographs for inspiration? Address: Surrey Hills Area of Outstanding Natural Beauty, London Road, Dorking RH5 6AA. 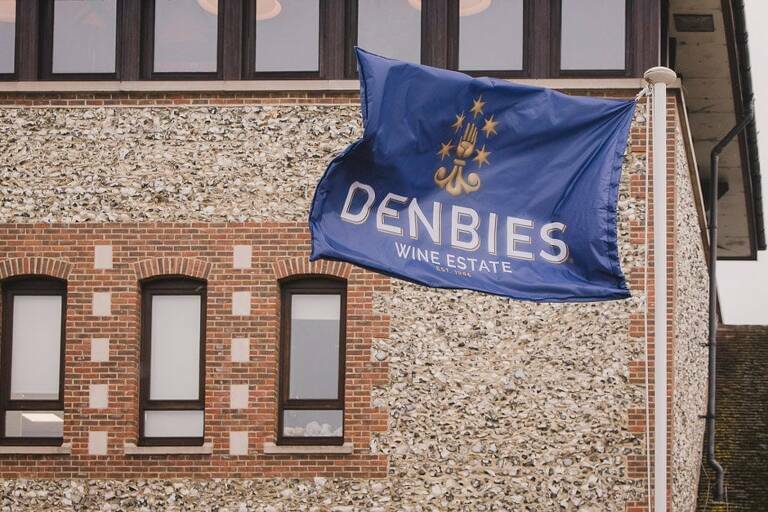 If you’d like to enquire about my availability for Denbies Vineyard please get in touch here.